The newest Harris County Sheriff's deputy is three feet tall, weighs 300 pounds and is absolutely adorable. 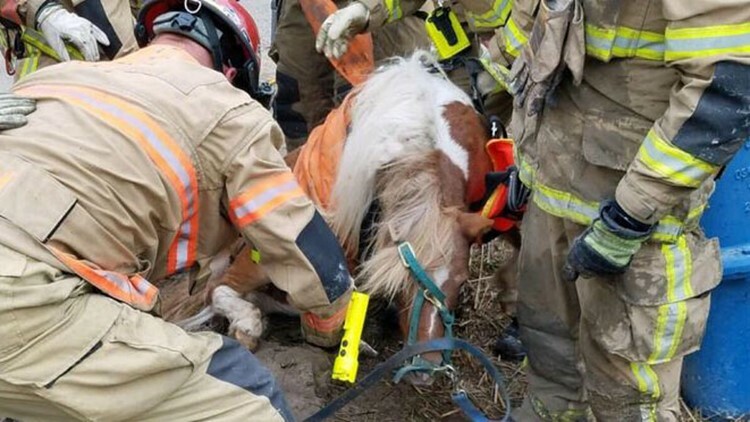 The miniature pony pulled from a wet, smelly Houston sewer drain last year is living high on the hog three months later. Meet Chief, the newest deputy in the Harris County Sheriff’s Office. HCSO adopted the miniature pony after he was rescued and they have big plans for the little fella. His new gig will include school visits and community events. The three-foot tall pony won’t be as intimidating as a bigger horse. After his rescue. Chief stole the heart of Adolph who wrote a letter asking for permission to adopt him into the livestock program. Chief will soon be wearing an official HCSO uniform. And, of course, he will have his own social media pages. The pony was named after Reserve Chief Ray Vickers, who died in a 2005 auto accident.